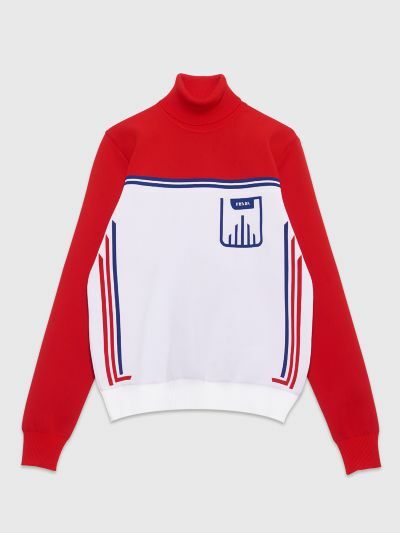 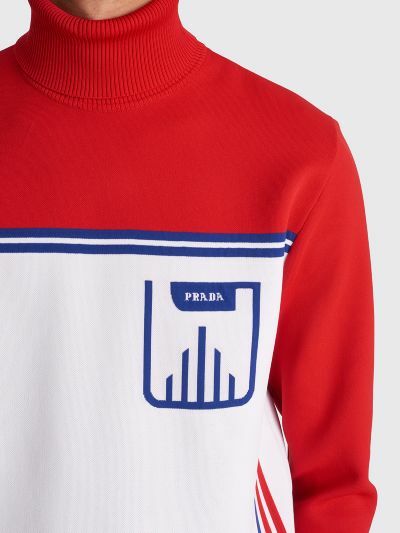 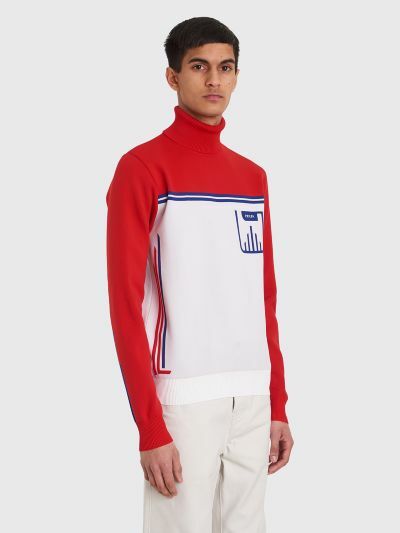 Turtleneck sweater from Prada. Made from a technical nylon fabric. 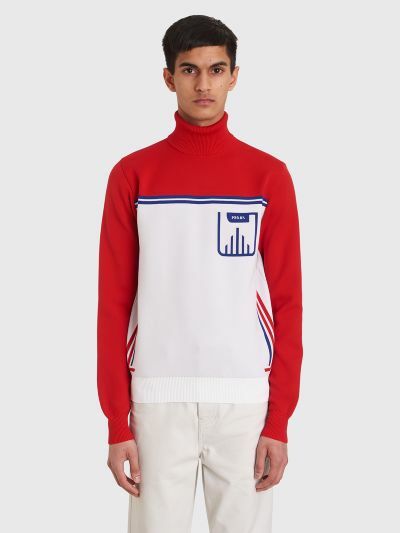 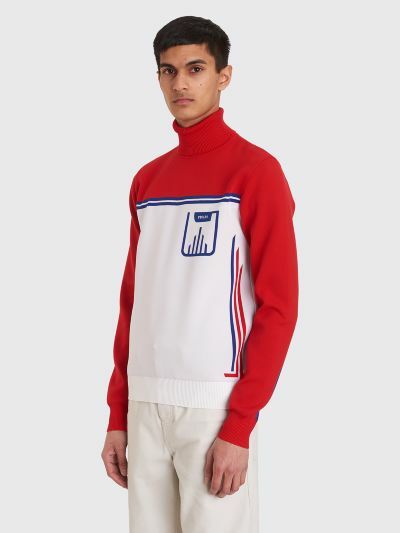 Features a turtleneck, jacquard contrasting logo on the chest, long sleeves with ribbed cuffs and a straight hem. 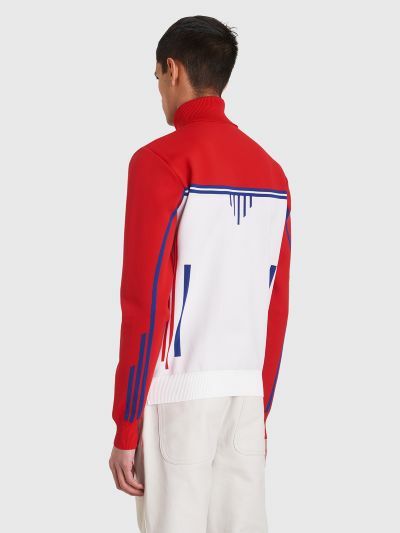 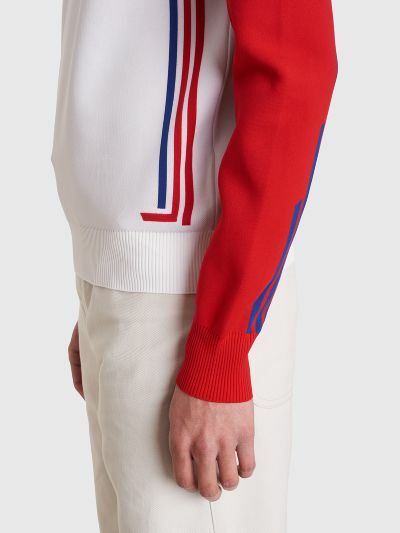 White, red and blue sweater made in Italy from 100% polyester.